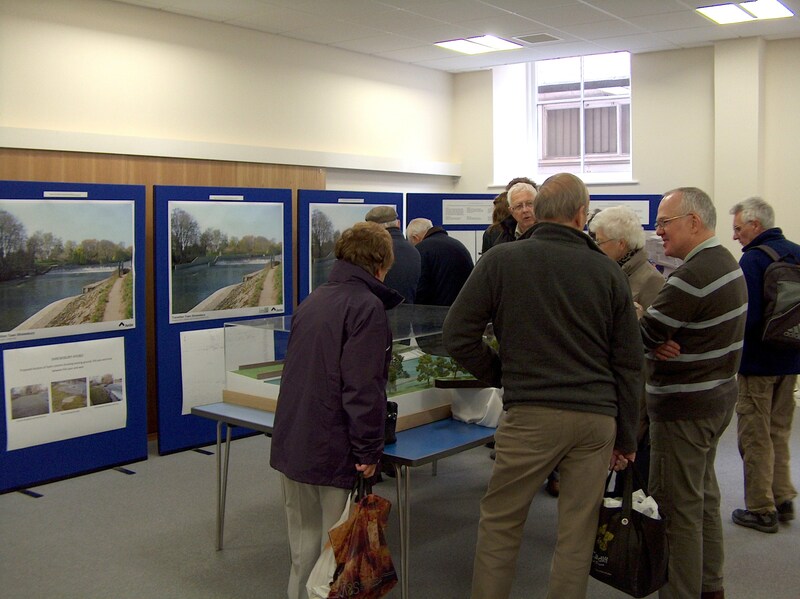 The public exhibitions have featured a 1 in 100 scale model of the proposed scheme alongside the various visualisations. The first exhibition was put on in 2012 and started in the centre of town at the Baptist Church Central in Claremont Street, then moved to the Castlefields Community Centre on the north side of the river and to St. Peter’s Church Hall on the south side of the river. Subsequently, exhibitions have been put on at the Shrewsbury Green Fair, at the Shrewsbury River Festival and at the opening of the Shrewsbury Sixth Form College’s new Environmental Sciences “Severn” building. Over 5,000 local residents have visited the exhibitions and the design of the present hydro scheme reflects the local opinions put forward. Shrewsbury Hydro and Shrewsbury Sixth Form College intend to work together to establish internet links between the hydro site and the College so that electricity generation and other data can be monitored and used in the teaching of environmental studies at the College.